The Mississippi man who pleaded guilty to sending poisoned letters to President Barack Obama showed up in court for sentencing Tuesday — but the hearing was delayed after he said he didn’t do it. 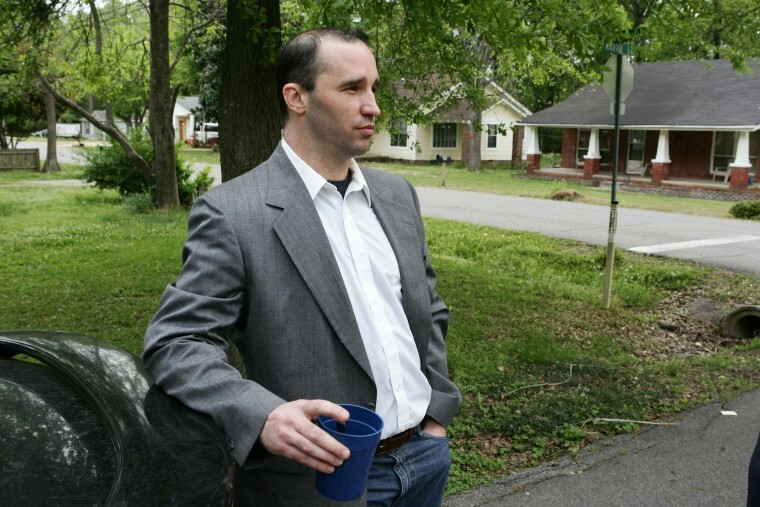 The man, a former martial arts instructor named James Everett Dutschke, had entered the plea as part of a deal with prosecutors in January. He admitted sending letters laced with ricin to Obama, Sen. Roger Wicker and a Mississippi judge. But in court on Tuesday, he argued in a 30-minute speech that he had not committed a crime, that the substance could not have been toxic and that the FBI and federal prosecutors had committed perjury. Dutschke said that he wanted to change his plea. The judge told the prosecution and defense to submit briefs and said she would hold a hearing later. Prosecutors have said that Dutschke framed another man, an Elvis impersonator named Paul Kevin Curtis who has a long-running feud with Dutschke. Curtis was arrested last year. Charges against Curtis were dropped. The letters to Obama and the senator were intercepted at screening facilities. Holland’s letter got to her, but she was not harmed.